One reason for this could be that C and C++ were more popular in those days than Java, the other was most curriculum was designed to teach C and C++, and there was no Python those days, at least not in our college. This is true, often we don't make the choice and we learn as part of our programming curriculum at school and colleges. In my time, C was the first programming language in our engineering college, and then we learned C++, VB, VC++ and finally Java. Now I am saying Java simpler and easy to learn, but I still remember saying it was more complex than C++ because I had to type System.out.println() instead of simpler cout to print something on the screen, but that was just a momentary feeling. When I started writing and maintaining bigger programs, I found Java much more readable and you can think what code is doing. 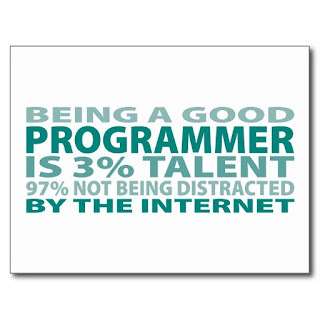 Debugging and finding a problem was also much easier in Java than compared to C++ or C.
By the way, I learn professional programming or you say real coding only on my first job, and that was when I seriously started learning Java. Is Java a Good Programming Langauge to Start With? 1) Java is Simpler, the syntax is much more readable than C, C++ or any other language. 2) Java is good to learn Object Oriented programming, but not so good for procedural one, prefer C there. The OOP or Object Oriented programming is a useful skill because it handles the complexity of a real-world application quite well. It's easier to think in terms of class and objects. 3) Java has a rich API and you can do a lot more with Java including graphics, sound and most likely writing small games like Tic Tac Toe, Tetris, etc. Not that you cannot do that with other languages, you often need to download and install different modules and library, which is a tough job for a starter. When you install Java, most of these feature comes as part of the installation only. 4) Java has strong community support, no matter what kind of questions, doubt or issue you have, Google can find answers for you. If not Google, then StackOverflow, Java forums and a lot of other communities are there to help you out. 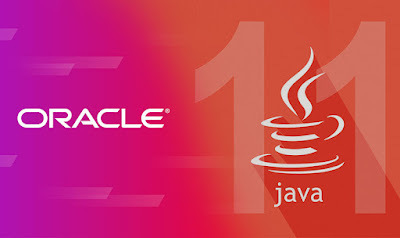 This is really the single biggest reason I suggest beginners learn to code using Java because when you are starting to learn to programme you will face many different kinds of issues to understand with respect to both programming fundamentals and Java. Because there are millions of Java developers around and a big community is there to support, most likely you will find answers quicker without getting frustrated and disappointed. 5) Java is a strongly typed language, which catches many newbie mistakes. Also true, to a lesser extent, for static typing. This is another reason I suggest beginners learn Java first then Python because Python is dynamic typing language, you don't need to define types which make learning confusing a bit. 6) Java comes with inbuilt Garbage collection, which is a big plus for a complete beginner. Dealing with memory management is a big thing at the start of learning programming. These are some of the reasons why I think beginners should learn Java first than any other language. I may be biased because I am a Java programmer, but I also know Python and I have also done professional programming in C and C++. 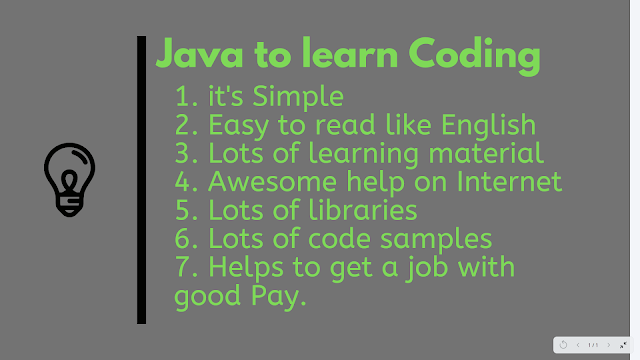 From that experience, I can say that Java is certainly one of the best programming languages for beginners. If you have already made up your mind to learn Java then you can join The Complete Java Masterclass to start your journey into the beautiful world of Java. This is one of the best course to learn Java for beginners. It's comprehensive but at the same time hands-on and suitable for beginners. Now the question is the difference, It's not. As a programmer, you must know a lot of things e.g. data structures, algorithms, memory management, object-oriented programming, scripting, etc. and different language teaches you a different thing. In order to be successful in a programming career, you need to keep learning and evolving, that's the biggest challenge of this field. If you happen to love programming and learn new technologies and languages then this is the right field for you. Another important thing for a successful programmer is to develop debugging skill, which is a reasoning based skill. If you want to become a better Java developer, you can also see my recent post about 10 tips to become a better Java developer in 2019. If you are good with reasoning and can make a conclusion based upon limited available information, then it will be easy for you to troubleshoot issues and find problems. Having a good knowledge of IDE like Eclipse, Netbeans or IntelliJ Idea will also help you with your coding and debugging journey, Java is blessed with a really wonderful tool. That's all on this folks. In my opinion, Java is definitely a good language to start programming with, because it's simpler than many others and focuses truly on programming rather than managing systems e.g. memory management. If you are convinced to start learning to code with Java than pick up a copy of Head First Java or join The Complete Java Masterclass and start your journey of programming with one of the best programming language, Java. You can definitely choose Java as your first programming language and once you are comfortable, try to learn a couple of more e.g. C or Python. 1) Java is Simpler, syntax are much more readable than C, C++ or any other language. --- That is so NOT true. There is much more readable and less verbose languages from Java - Ruby and Python for example.